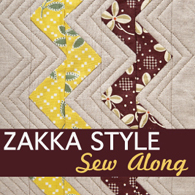 Click button for details on the Zakka sew along. It's time to Kick of this party with a fun and stylish Zig Zag tote. Is everyone ready? I had the pleasure of putting this fancy little piece together for you all. I decided to make a few examples of how you can keep it simple, or spruce it up to fit your style. The bag consists of simple quarter square triangles on the front in an offset design, with echo quilting done to make the prints really stand out. If you have made any type of bag before, then this should be basic bag construction. If you have never made a bag before, feel free to ask questions here or in our flickr group. One bag I followed the directions according to the book, and the other I went off a little to embellish and make it my own. My first recommendation is to have fun with it. Everyones machine will sew different seams, so things may not line up according to the pattern at all times. You can trim, or adjust the design as much as you need. This bag is very forgiving, and we are all here to help if you have questions. Also I suggest you read through the pattern and make sure that you understand the basic terms listed such as sub cut, and finger press. 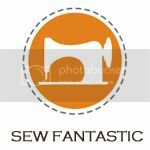 If you are a beginner here is a link for basic sewing terms. You most likely will not have questions, as the patterns is explained very well and there is no uncommon wording. Choosing fabrics was the hardest for me because I wanted to use so many colors in the bag. I think it would be fantastic to see this in a scrappy version as well. After you choose fabric, cut out all your pieces before you begin construction. This will assure you have enough supplies for the bag before you begin. As I said before I made two bags. After making the first, I played a little with changes, and thought I would share what I did here for you all. I put together a small list of things I changed a little after making the first bag, so you can get a feel for what you might like. 1. I only interfaced one side of the strap. This give it a little more looseness, and I like that. You could also use the fusible fleece to line the handles. I love the way The designer explains how to make the handles. No flipping or pulling, they are perfect every time. 2. I made the inside pocket a contrasting color so that it popped a little more. The pattern suggests cutting from same fabric as the lining so if you want to change that, think ahead and make adjustments accordingly. 3. I made the pleats slightly smaller on the bottom so that I could use it to fit books in. This just made the bag a little wider and showed off the quilting a little more. If you have ideas I would love to hear them as well. So are you ready to make one? Let's get started, gather your book, and supplies , it's almost sewing time. 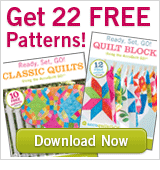 But wait before you start sewing, there is also a fantastic giveaway here from Aurifil Threads. Leave a comment here on week one's post, and we will choose 5 winners to send a 5 pack of Aurifil Threads to. International commenter's are welcome. When you are finished stop by the flickr group and show off your skills. There is also a giveaway for participants on Lindsey's blog so head over there to link up and win a bundle of Rashida's newest fabric line Washi, courtesy of Timeless Treasures. Each weekly post will feature a new linky party to show off your project, and enter to win something cool. What a fun first project! Thanks for the tips and variations - anxious to get started! Can't wait to get started! I've got all my supplies! I love the totes you made! I was feeling a little intimidated by this first project but I may have to give it a shot. I've got my supplies, but I'm waiting for the book to arrive! Looks like two good ways to do the zig zag tote(^^) and I can't wait to get started and post what I come up with! Thanks for the kick off! What a great way to begin Monday morning - your bag looks like such great fun! I have my book, but just ordered the linen last night (tap, tap, tap - that's me tapping my foot waiting for the UPS guy to get here!!!). I love seeing the Zig Zag Tote with the different fabric choices! That is something I CAN do right now - choose my coordinating fabrics! YAY! 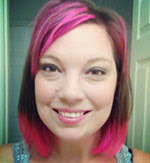 I am dying to try some Aurifil thread so I am hoping to be one of the lucky five!! Thanks for the wonderful tutorial to kick off this great event!! Super cute, but I do not have to book. I think I will just wing it! This looks beautiful! I can't wait to get started!! Both bags came out great! Thanks for the tips, I hope to get started on mine today. Love the bags ~ I've really been looking forward to the Zakka Style sew along. Now I just have to pick out my fabric and get to sewing! Oh my. Your bags are gorgeous! Thanks for sharing your expertise! Running off to cut my fabric for the bag RIGHT NOW! And fingers crossed that I win...I've yet to experience the loveliness of Aurifil. Thanks for a great tutorial! Love it - zig zags are so fabulous! I'm so ready to do this! Except, I need to gather up the supplies. Hopefully, I will be able to finish it this week, in time to meet the deadline. That might help you get started! Really like how you did your tote. Love the zigzag's!! I love your bags. They came out really great. I just bought some of that pinkish poka-dot fabric you used in the aqua/salmon colored bag, this weekend. I can't wait to try this bag this week. But I will admit, it will be later in the week as I am trying to finish a table topper for Easter. (I started this one almost 15 years ago. got the book for christmas got to start making !!! Love the colours and lining you have used. I just got my copy of the book today so looking forward to getting started. Bit nervous as have never really done any kind of quilting before but this looks managable. Can't wait to see all the other bags that get made. I'm still waiting for my book to arrive!! Terri you rocked that tote! Love both versions and really helpful tips! Love that second tote! 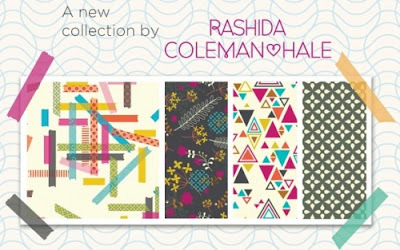 I have had my eye on those Anthology fabrics and really want some now. Both bags are lovely, and so completely different. I do love the hand stitching and am now tempted to do the same on mine.... Thanks for the Aurifil thread giveaway! Would love to win some! My fabric/interfacing/fleece is cut, now to sit down and sew! THE BAGS ARE SO NEAT ! APPRECIATE YOUR SHARING THESE IDEAS! WOULD LOVE TO WIN THE THREAD TOO! I don't have the book so likely won't be participating, but I would love to be included in the thread giveaway! Thanks. Your tote looks great and I think you did an awesome job choosing the fabrics. I'm so happy to have stopped by after reading your tweet...the tote bag is adorable (and who couldn't use just one more)!! LOVE the tote! Have been anxiously waiting for this sew along to get started - hope I can find the time to participate along the way! Drooling over the Aurifil threads! Love your renditions, especially the blue/red version. I made mine yesterday, and I found that it really helps to use spray starch on the linen--especially for the pieced sections. Your bags look fantastic. I really like the hand quilting on the second bag. totes love your totes, girl! but seriously, thank you sew much for this sew-along!! i just got into sewing and also just got this book and then i saw a link to the sew-along on Pinterest... let's just say i spent quite a few hours at JoAnn! so what is the plan - are you going to show us something new about the bag tomorrow, or is it just a post from someone different every Monday? Yay love the, my fabrics are all cut out and ready to sew. can't wait to see all the different variations. Looks great! I hope I get the book any day now, hopefully on time to join you. I love the version you made with the hand quilting. So cute! Well done, they all look wonderful. Great looking bags. I love the scooter used as a prop for the photo. I am a new follower by GFC. I don't know how many of the projects I will actually make, but I love you alternative ideas; and am definitely going to make this bag. These are just perfect! I ordered the book a few days ago so that I could participate in his sew along. You have really inspired me with your topstitching so I can't wait for the book to arrive now! Well, we are off to a great start thanks to you! very neat bag!!! love how the topstitching adds so much to the bag! I love the hand quilting you did on the one bag - it really stands out! Thanks for the chance to win! What a great start to a terrific project. You've set the bar high! thanks for the great give away opportunity. i filati aurifil sono fantastici,un caro saluto dall'italia da lory. Very beautiful bags with your great handquilting!. I am very new at blogging and super excited that I found this quilt along... and right on time to play! Exciting! I shall join the group and show off my Skillz! Thank you for the much needed inspiration! Your two bags look fantastic! I can't decide if I need some linen for mine, or not. I usually don't like linen, but yours are so cute! I love totes and this one is so cute. I love the zigzag design. ohhh yay I have my fabric all layed out ready for cutting this pattern out this weekend! Wish all of my stuff wasn't packed up for our move! Love this bag and your fabric choice! I absolutely love that your project features current fabric that is still available in the stores to replicate. Super cute bag! My book came today! And I just love your tote! Great fabric choice. That is a CUTE bag. I think I love it and must make it - now to buy the book. I love your linings. It seems to make the bags pop even more! Thanks for your inspiration. My book is ordered and should be here any day now! I can already tell I'm gonna love this tutorial! Thanks Terri! Your bags are beautiful of course! I checked on my Amazon order and it hasn't even shipped yet. I cancelled and ordered straight from CT. I got the ebook bundle so I downloaded the digital version so I can get started right away, while waiting for my hardcopy! I might not use linen for this first project, as I don't have any, but I will definitely be buying some for the future projects! Thanks for the giveaway!!! Love Ya! This is such a fantastic blog event...I'm ready to go! I love seeing the different examples of this bag. Between yours and the one in the book, I'm betting you can't go wrong, no matter what fabrics you choose. Can't wait to see what everybody comes up with. Those are great totes. It looks really easy and I always need a spare nappy bag or even a teachers present! Love the bag! Cant wait to give it a try! Beautiful bags! I can't wait to get started! Super cute! Would be cute to flip the zig-zags horizontally too. I love zig-zag anything! I'm off to start my bag tonight!! I really want to buy the book. Your bag is darling! I'm waiting for my book-it should be here tomorrow or Wed. I may pull my fabrics right now so I can start on it as soon as it gets here! Fun to see your accent fabric choices. Thanks for the encouragement and helpful hints. Now, if my book would just get here! Loove de tote! And thanks for the tutorial! I love that tote! I'm loving zig zags right now. 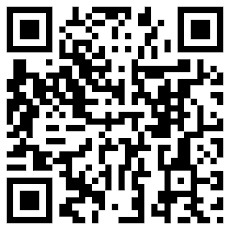 I've just linked up my entry. It's funny that you love the strap construction which I hated and so did differently! I found the bag a bit too boxy and wish I'd made it wider and less deep. I love the colours you've chosen and that colourful quilting is beautiful. Thanks for a great post. I have my copy of the book, I've selected the fabric, and now I'm ready to sew! Love the topstitching - I'm always suprised at how much this technique can transform something. Sewing together will be so much fun. Love the bag! Gorgeous bag, lovely fabric choices and a fab giveaway too! Love the bags! And great idea to have that pop- color in metro living! Hmmm... I have some of that at home... Maybe I should make one... Good for shopping! Cuteness! These would be great for Easter surprises, Mother's day, graduation, summer day trips....I should get busy and make some of these asap! I'm a tote-aholic already. Thanks for being an enabler! How sweet! I could definitely use one of those bags. I have that would look good. Great bag, I love the red and blue color way. I love your bag !!!!! 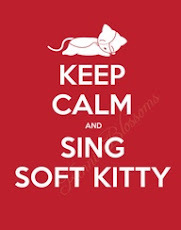 I'll try it I hope this week-end ... I'm looking forward to have my book!!!! The bag looks great, will be having a go. Your bags are amazing - I will definitely have to find this book - thank you for the information. This bag is awesome, I love the contrasting hand stitching, it makes the zig-zags pop. Thanks for the give away! I love bags! Sweet ideas. Thanks for sharing. Cute tote. Thanks for the chance to win the thread. Great totes. Our town is banning the use of plastic grocery bags beginning in 2013. Have to start making some totes for grocery shopping. I ordered my book two weeks ago in anticipation for this....waiting on it to ship! It will apparently be here sometime between April 16- 30. I am bummed out! I finished mine last night. I also made some variations. I put two pockets inside, one with a zipper. I attached all of my interfacing to the front as I don't like an interfaced lining. I also made the width a little smaller. I love this pattern and I love seeing all the fabric combinations. That is what is so amazing about sewing. We can all use the same pattern and they all look different and have their own personalities. I am loving this sew along! The contrasting stitching adds so much! Thanks for the inspiration. I'm feeling very excited - love the pattern. Lots to do but I will show it off tomorrow. Such a great start to a fun party! I love linen and this book - can't wait to play with the pattern myself! I love the bags! I really want to make one myself! Great bags! A person can never have too many bags! Love the bright colors! Thanks for the chance to win some great thread. I'm hoping to be able to play along. Thanks for the chance to win Aurifil thread. Thanks for doing a variation as well as the original version of the bag. As a person who gets nervous about branching out, seeing other people doing it makes it seem more doable for me. Your bag turned out wonderful! I love it!! Thanks for the tips for the great bag! I like the fabrics you chose to use. those threads look great. just in time for easter. The tote is great! Aurifil is my favorite thread! Ok. I need to get the book NOW! Your bags look darling. I love your choice of fabrics. This looks like some much fun. I really like the red, white and blue one. with the contrasting colors. Yes I want to make one, and I love Aurifil thread. Love the totes! Downloaded the book, prepped the fabric and can't wait to start sewing! So lovely! Thanks for sharing, now I really need the book!! I really like this tote so I guess I'm going to have to buy this book so I can make one! So beautiful: the bag, the fabric, the thread! I have been wanting this book for so long! Love that I am getting to see the projects come to life! I love your bags, especially the red, white and blue one.Thanks for the chance to win some Aurifil thread. I have heard so much about this thread, but haven't had a chance to try it. Yay -- so excited for the sewalong -- I got the book for my birthday in January, and I'm ready to sew! Very nice bag--not too fussy, just fancy enough. Love your tote and the zigzag variations. I make my totes very similar to your directions and will now be adding zigzags and echo quilting. I would love to win soem Aurifil thread. It is my favorite. Nice totes with an interesting pattern to catch the eye! Love this! Can't wait to make mine! Love the look of this tote. Would love to make one. Would also love to win some Aurifil thread.. Thanks for the opportunity. I'm so excited for my book to arrive so that I can sew along! Love the Flea Market Fancy fabrics so much....they look great with the linen! Your totes are so cute!! Finishing my zigzags today then on to the bag construction. I can't wait to finish and post of Flickr! I love these, well done. I love your totes. You can never have too many totes! That tote is really cute! Love the idea. Clean and simple, yet fun. That is a really nice tote! And it makes me want to make somth8ing in zigzag, too! Love the bag, will have to get the book. And really love Aurifil thread, use it all the time, can't live without it!!! I love how you made both of yours, so cute. Great bag, so useful and easy peazy to make your own customised version. Love the hand stitching on the second version. Love your bags. Out if town for a week, then I plan to get started. Already received book. Nice tote. I like the one with red pattern inside. The big color seams are so "njami". I'm dying for my linen to show up in my mailbox so I can get started (do you know how hard it was to find someone who wasn't out of stock!?)!! Your bags are really cute, cant wait to get mine going. Thanks for the giveaway to start this party! Love your bags. Makes me wonder if I should join along. Thanks for pointing out the contrasting pocket and strap construction! I hate turning bag straps right-side-out, and this method worked great! Your bag is fabulous! Going to love seeing all the projects from everybody! Your tote looks amazing! Great fabric choices & it's really helpful to read about your process & suggestions before tackling this project. Thanks for a lovely giveaway as well. Your bag looks very charming. I am impressed the detailed work on it. I love the bags in both colors...I can't wait to get started!! Love your totes. Now I just have to go make one. Wonderful fabrics in your totes. They are gorgeous. Just woken to heavy rain... Yay.. I can spend the day sewing.. Got stocked up on linen for this sewin.. Would love some Aurifil thread to showcase the Quilting. Great tutorial and two awesome bags . Hope I win the threads ! love seeing the maya fabric in your bag! can't wait to cut into mine - i love it! I love both the bags! I can't wait to get started on mine! Love the bag, can't wait to try it! Cute bags; thanks for the chance to win! Thank you for sharing your thoughts on the variations. I like the metro living in red you lined the second bag with. I love both versions. I'm always amazed at what different effects you can achieve with even small variations of a pattern. ohhh I love love love all your bags! I love this bag. Thanks for the chance to win some aurifil. I think these totes would make excellent end-of-year teacher gifts! Maybe I will be super crazy and start (and finish!) them now, instead of waiting until the night before we present them!! The bags are way too adorable! so much inspiration to go buy this book and dig in for this upcoming Easter weekend!I love the simplicity of the design but the "POP" it makes in style. I would use this as my library bag or my new take-a-long craft bag... Loves it! BTW that zipit shop on Etsy... totally fantastic! I hadn't thought of looking for supplies like that on Etsy... Got me some zippers in bright colors woot woot! OMG your bags are amazing!!! And so is your giveaway!!! Aurifil thread YES PLEASE! Thanks for the chance. i love the different versions. i was thinking of changing it up myself. 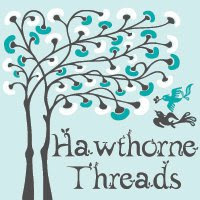 the threads are gorgeous! Love your echo quilting and thanks for the great giveaway! I love all the pretty combinations everyone is using! Great giveaway! Mine is in the pool and I need to get crackin on the next project! my book is on the way :-) i can´t wait to get started . Lovely bags! I just finished mine and used all three your tips. You say the handles are well explained. I had to do it my way, not understanding it at all. To the back I added 2 strips that I used in the zig zag.